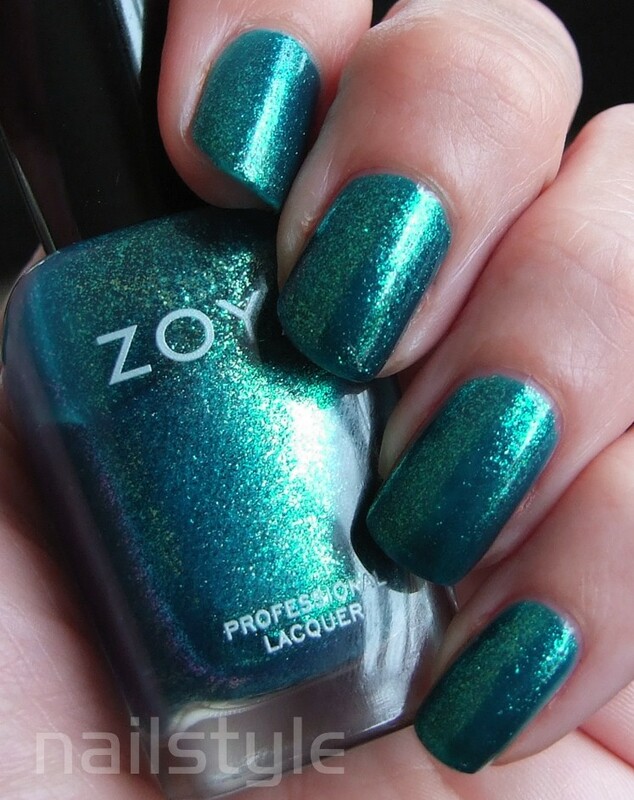 Nailstyle: The Amazing Zoya Charla! I haven't had a lot of experience with Zoya polishes as they aren't widely available in NZ and this lovely is from a haul from NaildeRoyale.com. Wow - I just can't believe how striking this polish is, I just can't stop looking at it. While it's probably been reviewed and swatched to death - it's new to me! It's very difficult to accurately capture Charla's true colour but these photos are a pretty good likeness I think. In some lights this polish looks more blue that green. I love this blue/green emerald sparkliness with a hint of gold. The formula goes on smoothly for glitter and is opaque in two coats and I was impressed by how quickly it dries, having read on some other blogs that Zoya polishes can tend to take a bit longer to dry. I'll happily put up with that to be able to feel confident that the polish I'm using is 3 free (plus camphor). Onto the piccies . . .
yeah so totally hard to get here! I want the Christmas collection so bad with the long glitter. I might try the site you used for these. Ah! 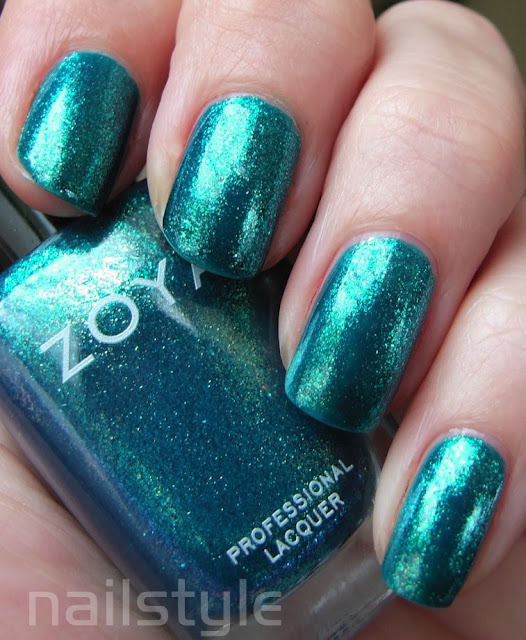 I wish I had read this blog before I made my new purchase for Zoya's sale. This color is fantastic! I now have a new color to obsess about.